Lafayette Ronald Hubbard, who was commonly known as L Ron Hubbard, was born on 13 March,1911, making him very much a Piscean in astrological terms. The zodiac sign Pisces is from 20 February to 21 March. Hubbard, who died in 1986, became very wealthy and world famous as a science fiction author and as the founder of the Scientology new religion, which had followed on from his self-improvement philosophy known as Dianetics. To L Ron Hubbard's supporters in the Church of Scientology he was and is their hero and saviour, and a great humanitarian genius with a means of saving lives and the world. His critics, however, portray a very different side to his character, calling him a conman who has lied about and fabricated his past. In astrology the zodiac sign of Pisces is a Water Sign and represented by two fish swimming in opposite directions. Could this be telling us about the character of L Ron Hubbard and saying that there were two sides to him and the confusion caused because of this? According to the excellent book on astrology, The Compleat Astrologer, by Derek and Julia Parker, the Piscean's ideal career is an "Actor, dancer, writer or poet...Navy, nurse (and the medical profession generally), hypnotist, illusionist, photographer, priest." Hubbard was most successful and made most of his wealth as a writer. His Dianetics philosophy and Scientology religion are both very much concerned with healing the minds, bodies and spirits of people who use them, Hubbard claimed to have had a Naval background in which he excelled (although this is disputed by his critics), he was known to have been skilled as a hypnotist, his life history he illustrated with photos, and as the founder of a religion he would fit into the "priest" role taken to the extreme. They further write that: "He is likely to be more receptive to religion...yet his work can be his religion." This is a very accurate description of L Ron Hubbard who said that he based Scientology on the Indian Vedic scriptures as his starting point. And, indeed, writing all the texts and delivering all the lectures that became the scriptures of Scientology became his work. The authors tell us in their book on astrology that "The Piscean is very sensitive indeed, extremely unworldly and impractical and always eager to try to escape from reality." Hubbard's greatest gift in many ways was his imagination which gave him the ability to write so much science fiction, and if his critics are right, much of his "Advanced Level" Scientology teachings are products of his mind and a fantasy packaged as fact. L Ron Hubbard's teachings include galactic civilisations and interplanetary wars, flying saucers and "implant stations" on Mars and Venus. His history of the universe goes back 76 trillion years and is called the "Whole Track" and there is very much incredible material included here that detractors would claim is sci-fi dressed up as religion. Derek and Julia Parker say that amongst the negative traits of an individual born in the sign of Pisces is a tendency to become addicted to drugs and alcohol in an attempt to escape the realities of life. In Wikipedia we read: "An unauthorized Hubbard biography also says that "John McMasters told me that on the flagship Apollo in the late sixties he witnessed Hubbard's drug supply. 'It was the largest drug chest I had ever seen. He had everything!'" Whilst there is much evidence to show that L Ron Hubbard had used drugs their use is frowned on in Scientology and a programme called the "Purification Rundown" is sold to Scientologists to rid the body of all drugs they have consumed of both the legal and illegal varieties. In keeping with Hubbard's reported naval history, he set up a topmost branch of Scientology known as the Sea Organisation, or Sea Org. You are not permitted to join the organisation as a staff member or officer if you confess to have ever taken the drug LSD. This naval image and imagery and Hubbard's ship the Apollo were all very much an expression of being born under the sign of Pisces. Pisceans are often drawn to an interest in the sea and a life on the oceans. Derek and Julia Parker say that "The Piscean's torrent of emotions is so deep and strong that he himself may be confused and tormented by it." In keeping with this, Wikipedia informs us: "Several trusted colleagues say Hubbard was prone to emotional fits when he became upset, using insults and obscenities. Former Scientologist Adelle Hartwell once described such an outburst: "I actually saw him take his hat off one day and stomp on it and cry like a baby." In The Compleat Astrologer the authors further inform us that being secretive is another of the negative traits of a Piscean. We know that towards the end of February 1980, L Ron Hubbard went into hiding and lived as recluse in the little town of Creston, California for the final six years of his life. In conclusion, it appears that the mysteries of the life and the genius of L Ron Hubbard were all expressions of his Piscean nature and proof that in astrology there is a lot of truth. I think you will find that L Ron hardly did any scientific research but mostly wrote his opinion or made things up. Perhaps you could prove me wrong with some sources? It is incredible, here are a bunch of people talking about piscis sign as it if this was something real and full of truth and neglecting all the Scientific research that L Ron Hubbard did . Anybody with enough guts may confirm his findings , provided taht you realy can face the truth and don't live ina fantasy island reading the horoscope and saying it is a valid piece of information. If that's true it makes a nonsense of his advice about not drinking because alcohol causes engrams. I quit for four years because of that! 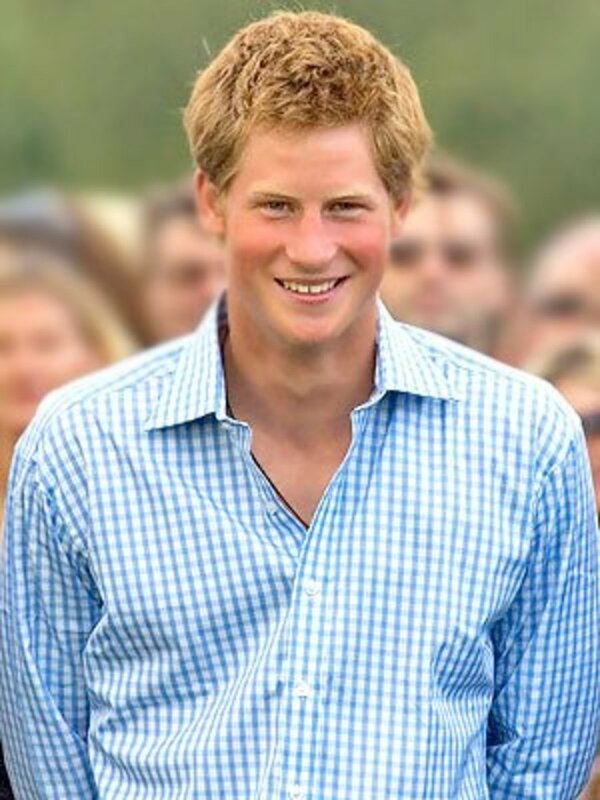 But then again as he was born as a Piscean it would be a typical negative trait of that sign! RH also drank to excess as reported by former associates as well as his son.It seems this was seen on his ship. My pleasure - it was such a stimulating hub! Thanks for that detailed feedback, Nellieanna! I've known Pisceans, some with problems caused by the typical bents, but at least one who is an inspired ex-Naval officer (he adores the water & can't get enough of it! ), Mensan, water-sports enthusiast, plays a handful of instruments well, is a fabulous photographer, can't get enough schooling - has learned to fly & earned a commercial pilot's license, learned to weld, studies literature & history, writes well, composes - I could go on and on. So obviously the traits can be applied or channeled into various things leading in various directions. I've been interested in Ron Hubbard from growing up in a home which had copies of Elbert Hubbard's "Scrapbook" of his favorite practical & philosophical quotes & his "Notebook" of his own thoughts & philosophical ideas. I thought there was some connection between the 2 men & thanks to your provocative hub, have just researched & learned what it was! 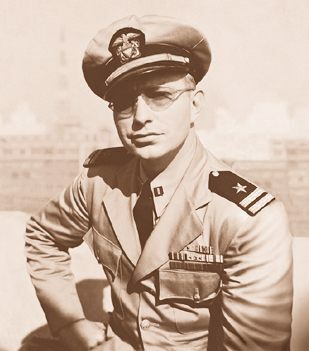 L. Ron Hubbard was a nephew of Elbert by the adoption of his father into the Hubbard family. L. Ron's father, Harry Ross Hubbard, was born Henry August Wilson but was adopted as an orphan by a Mr. and Mrs. James Hubbard of Iowa. Elbert, therefore, was an uncle (but not by blood). L. Ron Hubbard was so impressed with his uncle Elbert Hubbard's accomplishments that in 1956 he dedicated the ninth printing of Dianetics: The Modern Science of Mental Health to him. L. Ron Hubbard was born in 1911. Elbert Hubbard died in 1915. It is unknown but doubtful they ever met." William, my first girlfriend and first heartbreak died at an early age and she had a depression problem, had drug and alcohol problems and was a Piscean! I used to know a guy (probably dead now) who drank excessively, used drugs, got ripped off badly by a woman he got engaged to, had a serious accident, was receiving psychiatric treatment for depression, and he was another Piscean. Yes, Scientology does send out excessive amounts of mail as it is believed this is justified under this datum: "outflow = inflow." Also, as I know from firsthand experience the amount of publicity you need to get out is very high to get a sale. I used to average on 2,000 flyers to get one book sale. The idea is that if you manage to hook a person who becomes a Scientologist, especially if it is one with plenty of money, then it is all worthwhile. There is logic to all this. Statistics are kept to monitor how much promo goes out and what the results are. I am sure this could be done with any product or service and is a key to selling something as long as you have the money to invest in the publicity. My mother was Piscean and she would go from extreme highs to lows. Fortunately she was never into drink or drugs. I did have an interest in Scientology, but never got involved, because of their policy that once they got your name and address, they would flood you with junk mail. That put me right off wanting to get involved. I have a particular interest because I was a Scientologist for some years and wrote another hub about it. Thank you for posting, Dahoglund! I've never known much about him or his religion. Somebody brought in as a motivational speaker tried to tell me about Scientology many year ago. he didn't make sense and I'm not suer if Hubbard does.